Emmet Cohen and friends swing through Timucua one more time! The trio is known for its range and uplifting dynamism, representing Cohen’s “kaleidoscopic sense of musical narrative,” as noted in Downbeat Magazine. Audience members can expect to be treated to a master class in stylistic juxtapositions, including the melding of stride, blues, church, swing, bebop, free, and contemporary styles, resulting in the innovative sound of Jazz’s future. The Trio will also feature selections from Cohen’s latest album releases, “Masters Legacy Series Vol. 1,” which features famed Miles Davis drummer Jimmy Cobb, and “Vol. 2”, showcasing revered acoustic bass pioneer, Ron Carter. A special exhibition of works by Lisa Mazzoni. MARBIN is a progressive jazz-rock band based in Chicago, IL, with a unique story that stands out in today’s music world. 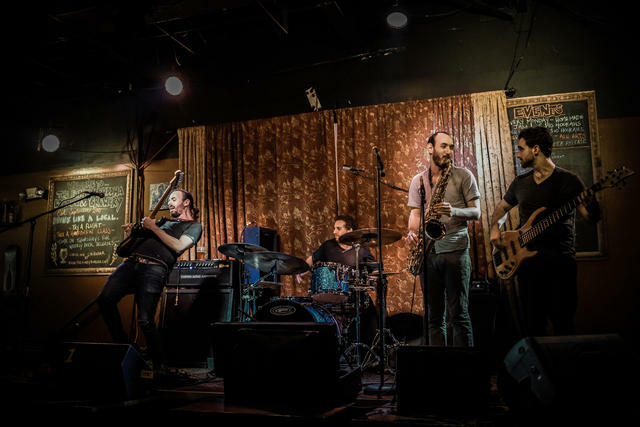 With a do-it-yourself approach, Marbin started touring extensively in 2011, bringing their original instrumental music to every part of the United States. Through word of mouth, Marbin has gained tens of thousands of devoted fans all over the world, and has sold tens of thousands of albums. Marbin has released seven albums: Marbin (2009), Breaking the Cycle (2011), Last Chapter of Dreaming (2013), The Third Set (2014), Aggressive Hippies (2015), Goatman and the House of the Dead (2016), and Isreali Jazz (2018). Marbin regularly plays in clubs all over the US and in jam and jazz festivals around the world. Combining timeless melodicism with forward–thinking lines and textures, the music of Jonathan Kreisberg continues to attract a growing international fan base. His compositions have been performed by his groundbreaking quartet on five continents. As a guitarist, his sound and technique has influenced the next generation of players and has arguably contributed to the evolution of the instrument in jazz. For their show at Timucua, JKQ will perform brand new compositions that combine jazz tradition, instrumental virtuosity, modern soundscapes and influences from every corner of the world and beyond. M&M Latin Jazz Ensemble from Benoit Glazer on Vimeo. Marty Morell (drums, percussion, vibes, piano, producer) was a member of the BILL EVANS Trio for seven years. He has performed with the Toronto Symphony, Canadian Opera Company, the Hamilton Philharmonic and the Royal Winnipeg Ballet. He played the Tony award -winning musical “Ragtime”. Following that, he did the revival of “Kiss Me Kate” and “Suessical: the Musical”. He was the drummer with the legendary Duke Ellington Orchestra from 2006-12. Currently, he resides in Tampa, Florida and is the Jazz drum set Professor at the University of Central Florida. La Lucha is a Tampa Bay-based trio that consists of three best friends from three different parts of the world; Colombia, Mexico & United States. 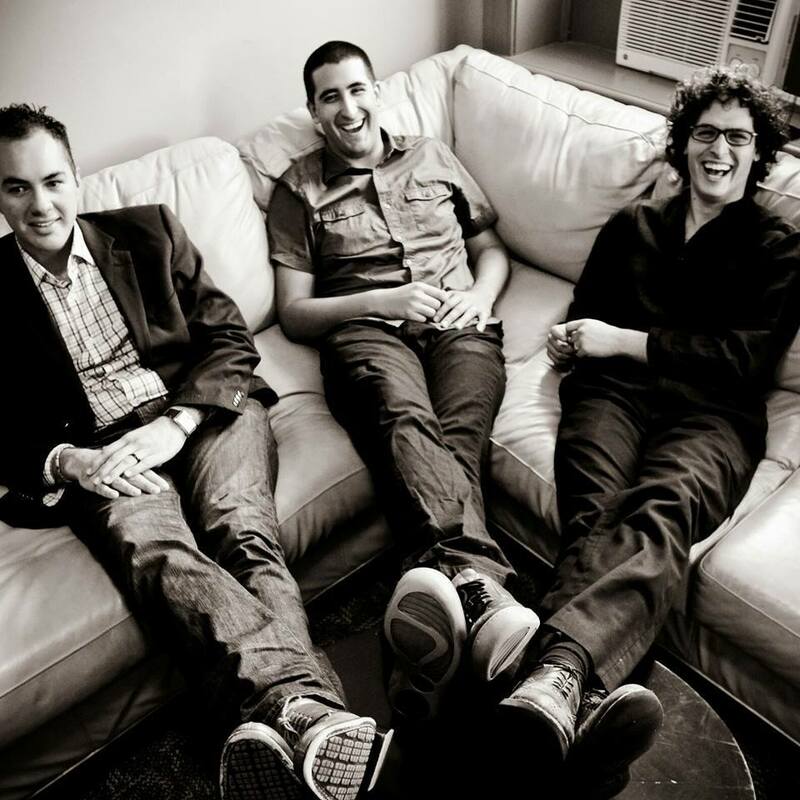 Its members are Alejandro Arenas, bass; John O’Leary, piano; and Mark Feinman, drums. 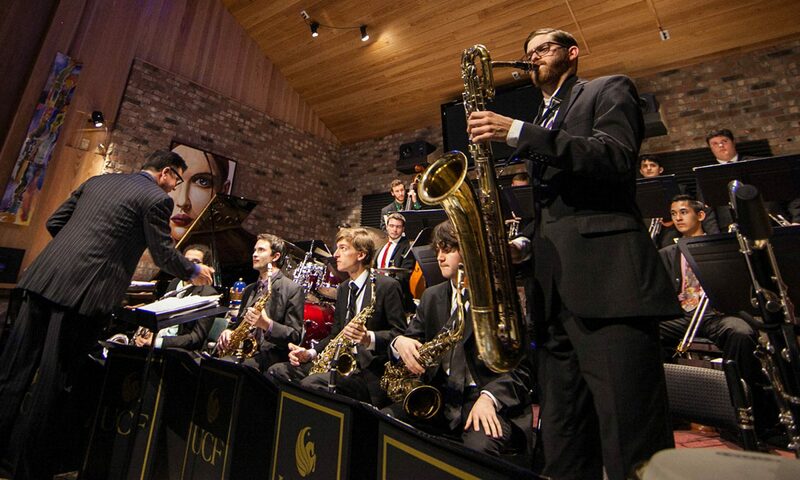 Their repertoire is a diverse mixture of Latin-inspired rhythms with Jazz standards, twisted arrangements of pop songs and original compositions. 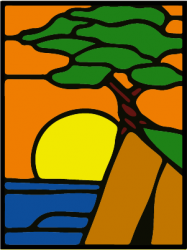 A special exhibition of works by Jim Preston. $20 general admission. Please bring food or wine to share. Join us for a special Friday night concert featuring Mauricio Rodriguez and Dimas Sanchez, stars of Central Florida’s Latin Jazz scene! They will be joined by special guest pianist Tony Castillo. Tickets are still available at the door for tonight’s show! Please also bring food or wine to share. Twenty years ago, the legendary jazz saxophonist Michael Brecker put out his dynamic recording “Time Is of the Essence” and the jazz world took notice. 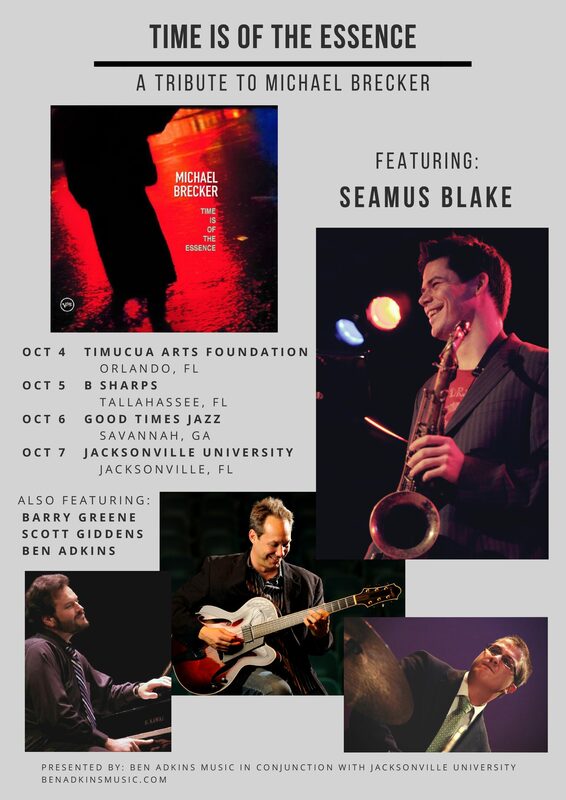 This fall, North Florida-based drummer Ben Adkins is looking forward to introducing the exciting material to a new generation through a mini-tour of concerts and workshops across the region, with internationally acclaimed saxophonist Seamus Blake in the tenor role. “Time Is of the Essence” was Michael Brecker’s sixth album as a leader. The nine infectious tunes showcase the band’s awesome versatility, with concise power, blazing solos, and an abundance of drive and intensity. The compositions, including five Brecker originals, ranging from the funky to the haunting to the introspective, with subtle cookers tucked into the mix. La Lucha is a Tampa Bay-based trio that consists of three best friends from three different parts of the world; Colombia, Mexico & United States. Its members are Alejandro Arenas, bass; John O’Leary, piano; and Mark Feinman, drums. Their repertoire is a diverse mixture of Latin-inspired rhythms with Jazz standards, twisted arrangements of pop songs and original compositions. Each member of the trio has extensive national and international performance experience, including a tour of Italy and France with performances at the “Umbria Jazz Festival” and “Jazz a Juan” in Juan Les Pins.